For many folk in the industry, the name change from BT Investment Management to Pendal Group, at a ‘ringing-of-the-bell’ ceremony at the ASX last Friday, was just a name change. For the old timers, the amateur historians and industry observers amongst us, it was much more than that. The King is dead; long live the King. The formerly US-owned Bankers Trust, which included funds management, treasury and investment banking, set up in Australia in the 1970s. The Australians they hired, initially reporting to people sent out from New York, soon took control. They were led by Chris Corrigan, who went on to become a maverick in other industries, such as the one for which he is probably best known, which is the waterfront, and its deregulation and disputes. Chris was, and still is, a strong-willed person who, not well known, also disrupted the stock-broking industry while he was at BT. He tended to disrupt everything. He led the charge, for BT, to take away a lot of business from the two big life offices at the time – AMP and National Mutual. This is a potted history of the old BT and a view on its new expansion horizons. Pendal is rapidly becoming a truly global asset manager, not only from its investing capabilities, but, more recently, from its asset gathering. The Pendal pedigree, dare we say it, is probably that of Australia’s greatest-ever fund manager. ‘Pendal Nominees’ was writ large across many a prospectus and legal document in the 70s and 80s and even the 90s. The insiders who worked at BT used to call the investment management team ‘Pendal’. Pendal has an important place in Australian funds management history and now has a re-born lease of life on the world stage. As an aside, BT was for fund managers what Fairfax was for journalists: everyone passed through at some stage, and usually benefitted from the experience. It’s where you learn what you need to know. In BT’s case, it was in the investors’ best interest. In Fairfax’s case, of course, it was in the whole country’s best interest. Without turning this into another book – Gideon Haigh wrote the first one on the history of BT, in the 1990s, when BT was still riding high on the back of its big call prior to the 1987 stock market crash – we can say there will be more of that history downstream. Fine writer that he is, we suspect Gideon doesn’t think his BT story was his best achievement. The marketing people at BT at the time, when there were many of them, pretty much stifled it. BT, more than most, or any, of the other big managers, used to be renowned for its integrity. But that, for various reasons, waned from the late 90s and early 2000s. And that’s where we get to with the story of BT. It’s a checkered history, which includes lots of very clever people who built something out of nothing. It was a roller-coaster ride, with various owners and various factional disputes. BT, for instance, is perhaps the only manager in the world which had two distinct equities teams: one for “retail/wholesale” clients and the other for institutional clients, who represented the firm’s roots. Mike Crivelli, who joined in 1974 from Schroder, recalls that Chris Corrigan, the major builder of the firm, had to persuade Ord Minett, a joint owner, to allow him to set the funds management arm up, alongside the investment bank. Corrigan was joined by his friend Rob Ferguson, who went on to become joint managing director, and Olev Rahn, who was the guiding light for portfolio management during the important 1980s. Many other people, who went on to bigger things, such as Kerr Neilson (Platinum) and Paul Moore (PM Capital), followed suit. Crivelli, who was arguably the best marketer of his generation, and who had the knack of implying to his clients that he actually ran the money, which he didn’t, oversaw the establishment of a retail business. Terry Power, a slick salesperson, took this over. Up until the mid 1980s, BT had built its first billion dollars or so on institutional money. The internationalisation of the firm, which is now happening again, big time, following the purchase of J. O. Hambro in the UK in 2011, was one of its many differentiating strategies in the 1970s and 80s. Remember, offshore investing of pension fund money was not easy then, due to restrictive regulations. It wasn’t until the de-regulation period of currency and other financial constraints, of the Hawke-Keating Government from 1983, that fund managers such as BT were able to show their true worth. The big call, which gave BT its “halo” for several years, came a few months before the September 1987 stock market crash. Several people were involved in the decision, led by Olev Rahn, but the consensus seems to be that Vasant Khilnani was the most vocal in putting together a defensive strategy, and constructing it. Crivelli recalls that while the markets were “roaring along” the portfolio managers and others, such as him, were getting nervous. BT put in place, in what was probably its biggest, bravest and best call, a defensive strategy which included overweighting cash and a new derivatives strategy. “We started buying call options, which became very expensive, and we also bought put options. We lagged the market for those months but we were the only ones to work out the right strategy,” Crivelli says. The firm took a caning from consultants and advisors but withstood it. And won out in the end. “It was Olev and Ross Finley and Vasant and about eight or nine others who worked out our strategy,” Crivelli says. John Peterson, another alumnus, was in the mix. This is one of the great things about BT – it’s the alumni. The end result was that BT came out of the 1987 crash as the top-performing manager. Crivelli recalls that the “halo” lasted several years. The BT Retirement Fund, a balanced offering for mainly small super funds, was the top of the pops. Marita Blood, who was the first press relations person working for BT, says that in those early years the managers such as Corrigan, who has remained a friend of hers, Crivelli and others, walked the pavement more than any of their competitors did at the time. They put in the hard yards, she says. A colourful character, Marita Blood says that the early days in the 1970s were austere. And that was a good thing, setting the firm up for the future. “I remember Chris’s [Corrigan’s] office was so small that you had to close the door before you could sit down on the little couch opposite his desk,” she says. The wheels started to fall off in the early1990s. John Hamer, a business development manager who joined BT in 1989, recalls that performance started to wane and the uncertainty over the company’s ownership had a detrimental effect on morale. Kerr Neilson wanted to get equity in his part of the business, which Ferguson and Ian Martin, who became co-managing director after Bruce Hogan, said they could not do. Neilson went out on his own, with famous success. BT Australia was sold to Principal, a big firm based in Des Moine, Idaho, for a reported $2 billion, in 1999. The deal did not go well and Westpac subsequently bought BT in 2002 for about half that amount, having previously acquired Rothschild Australia Asset Management. As another aside, Westpac renamed Rothschild as Sagitta, which was derived, in Latin, from its “five arrows” funds name. Peter Martin, the former boss at Rothschild, is rumoured to have pocketed $10 million, personally, on the turnaround. They were the days. Westpac, showing great prescience, floated BT Investment Management away from BT Financial Group (the multi-manager and distribution arm) in 2007. It’s that separately listed entity, now known as Pendal Group, which is just 10 per cent owned by Westpac. The bank has indicated its intention to exit the stock altogether. Deutsche Bank took over BT globally in the 1990s and then the Australian business was sold to Principal Financial Group in 1999. Deutsche sold BT’s Australian investment banking arm to Macquarie Bank at the same time. The Principal ownership period was a match made in hell. Stephen van Eyk, who was the most influential financial research analyst from the 1980s through to the 2000s, says that the Principal years were bad. van Eyk Research, the company he founded, which had more than 50 per cent of the advisory market in the 1990s, continued to recommend BT through the dark period of Principal ownership. Performance fell away and management was beset with infighting. Managing directors Ferguson and Hogan, for instance, are said to have barely spoken with each other. Stephen van Eyk recalled last week that he apologised to clients afterwards. However, most of them came out of it alright. This was because, as the BT funds were shrinking due to the outflows, those investors who stayed enjoyed the benefit of a tax kicker. With unit trusts, capital gains tax is calculated such that when the trust is growing in assets, unit holders who join late are penalised. In the converse situation, when a unit trust is shrinking, unit holders get a tax benefit. Stephen van Eyk says that the benefit, the case of most BT funds, was worth about 2 per cent. While he is probably best known for his call on BT, which was over the long term the best call a researcher could make, in hindsight, van Eyk points out that his firm’s longest-standing support was for the Perpetual Investments Australian share fund. He said that he copped a lot of flak for his continued support of BT, while the headline returns figures were looking bad, but most of the people who criticised him did not understand the net result for investors, which was positive against the market on an after-tax basis. Mike Crivelli left BT in 1996. Here’s another aside: The late Bill Mahoney, who was then the head of sales and marketing in Sydney, phoned me to give me the “heads up” that a press release was about to be issued which said that Mike Crivelli was leaving BT. Mahoney knew this would not go down well in the market. After all, there were all those investors out there who still thought Mike was managing their money. But even those in the know thought that this was not a good sign. Mahoney said that Mike was retiring. He was not going to join a boutique, he said, which was the fashion of the time, and would never compete against his beloved BT. About 20 minutes after putting down the phone, Marita Blood rang. She was representing Mike Crivelli and his new start-up manager, Pacific Road Funds Management. This firm, with some help from IOOF, grew into Perennial Funds Management and became a successful multi-affiliate manager. BT was also a very successful securities services and operations manager. It was not the shoot-from-the-hip sort of company that many people thought. For instance, it built a big custody business and set it up in Adelaide, competing against the likes of JP Morgan, the biggest in the market, NAB Asset Servicing, Cogent (AMP – now BNP) and State Street. The Adelaide facility was run by Alexis George, who went on to head up BNP Paribas Securities Services in Sydney, operations at ING in the region, out of Hong Kong, and then ANZ Wealth back in Sydney. She is another highly regarded BT alumnus. Bryan Gray, the head of sales and relationships at JP Morgan Securities Services, says that BT had about 180 people in Adelaide when JP Morgan successfully bid to buy the business in 2001. But then, Principal sold BT to Westpac shortly after and Westpac had its own domestic custody business – subsequently outsourced to HSBC – and JP Morgan had to shut down Adelaide. According to the market share figures provided by the Australian Custodial Services Association, in 2001, the rankings were, in order: JP Morgan; NAB; Cogent; State Street; Commonwealth Bank; RBC; and, Permanent Trustees. Permanent’s business is now owned by Perpetual, whose custodian is RBC. Cogent, whose biggest client was AMP, is now owned by BNP Paribas. 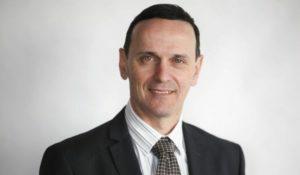 Emilio Gonzalez, the current managing director of the global business, based in Sydney, has more than 30 years experience in investment management, 19 of which were at Perpetual. “I had the the privilege of working with some of the best known managers in the country such as Anton Tagliaferro, John Murray, John Sevior, Matt Williams and Peter Morgan,” he says. The recently recruited Richard Brandweiner, who joined in February, is managing director of Australia. He has already recruited a new head of operations, Justin Howell, with whom he has worked previously. The Pendal Group is not only growing fast, it has a lot of work to do. As Westpac sells down, and out, of its position in Pendal, currently about 10 per cent, the fund manager needs to take over a lot of the administrative roles previously performed by BT Financial Group. Gonzalez says: “The J O Hambro deal was transformational for the company in that we accelerated our expansion offshore with a like-minded business. It demonstrates that Australian companies can successfully expand offshore if you are disciplined have a well thought out plan and execute diligently. In the difficult days, when BT investment performance was at its worst one of the decisions made was to get rid of its international team and outsource the remaining international and regional fund investments to offshore managers. Gonzalez says: “One of those managers who worked in the European strategy was Crispin Murray who joined BT as an analyst in the 1990s. Crispin was highly regarded and management asked him almost immediately to come back and run the Australian equity portfolios as they were also performing badly. Crispin assembled a team with a mandate to regain the reputation of BT in the domestic market. It took some time but by the mid 2000s the BT Australian equity portfolios managed by Crispin were once again top quartile and with it a restoration of the BT investment brand. “Given the strong performance of the funds – and at the time there was a trend towards individuals branching out and starting up their own boutiques, such as Peter Morgan with 452 Capital, Westpac made the smart decision that to retain key investment staff of what was again a top-performing team it had to float part of the business and in doing so provide staff with equity in the business and autonomy to build their own culture outside of the broader Westpac Group. “It proved a success for staff, the new shareholders in BTIM and Westpac. Without the rebound of the Australian equity business under Crispin’s leadership, the float of the business in 2007 would never have happened. The other benefit of the float was that it was able to attract other talent such as Vimal Gor, head of cash and fixed interest, who has been very successful in repositioning and raising FUM for BT in the fixed income area. From the outset for Gonzalez, when he joined BT in 2010, there has always been discussion around the company’s name and whether it should be changed. Banks are not everyone’s favourite type of company at the moment. Gonzalez says that it is not lost on him that the timing of the new brand happens to coincide with bank brands coming under scrutiny. After the ‘ringing-of-the-bell’ ceremony at the ASX last Friday, James Evans, Pendal’s chair, said that through the company’s international expansion, from a governance perspective, the directors decided that they needed to be as close as possible to the overseas operations. Evans said that the US represented a big opportunity for Pendal, with about 15 per cent of its funds under management already sourced from the US.